In case you did’t know I had an article published in PLY Magazine! 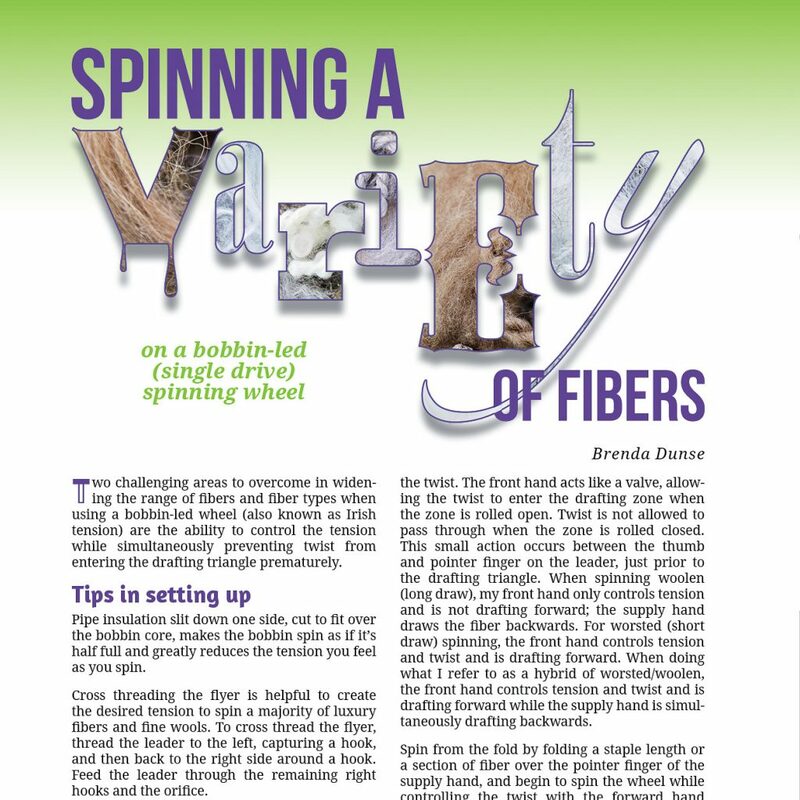 The article is about spinning a variety of fibers on a bobbin-led (single drive) spinning wheel. In the article you can read about how I use my hand to control tension by rolling the drafting zone open and closed. In the article I explain how I utilize fiber blenders not only to prepare fiber, but to hold fiber while drafting.